It's time for a new challenge here on the new Cropstop blog. After missing the month of March (due to technical issues with the other blog), we're so happy to be back on schedule! Such a lovely card with all the fabulous elements and colors - thank you for the new challenge - have a blessed week! I ADORE your lovely bird cage cards....so pretty and springy! 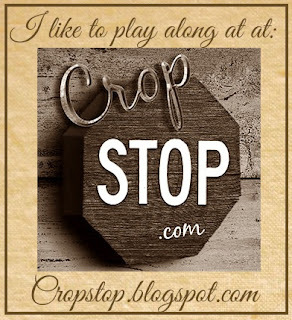 So glad to see the CropStop blog back up and running and having a fresh challenge. Thank you for all the work you do behind the scenes! !